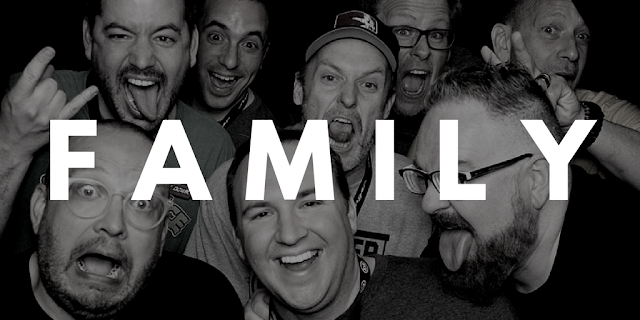 Lunchbox Dad: Does This Fall Under Your Definition of Family? Does This Fall Under Your Definition of Family? When I say the word "family," what comes to mind? Maybe it's when you got your first glimpse of your wife as she walked down the aisle. Maybe it's the moment your child burst onto the scene and your life changed forever. Maybe it's when you and your siblings secretly spied on your parents while they hurriedly wrapped your presents on Christmas Eve. Or maybe it's one those rare times where you met a new friend for the first time and you instantly started finishing each other's sentences. Which is it for you? I had an experience recently that reminded me about how that family feel can come in numerous shapes, sizes, forms, and functions. Basically, if you're looking to keep your definition of the term "family" locked in a small box, then you're likely to miss out on some of extremely meaningful relationships. I don't normally write about anything outside of food and family, and while this might seem like it's about travel and cars, I would say this post most assuredly falls smack dab into the family side of things, just not in the traditional sense. The experience might have happened recently, but it really started over five years ago. That is when this blog came into being. I actually started it because of my family. My daughter was about ready to begin Kindergarten and I was looking for a way to connect with her while she was in school. I set about making these fun character themed lunches and they gave us some of the best times together. So I thought I would help inspire other parents, using this blog, to have similar experiences. Along the way unpredictable and crazy things happened like being featured on Good Morning America, The Steve Harvey Show, People Magazine, commercials, the front page of Yahoo (when that was a thing), and Buzzfeed. But besides those public events, there were also some vitally important moments happening behind the scenes. I started meeting other bloggers who also loved their families and were regularly writing about them. At first, we just knew each other online through sharing quick snapshots of our lives on social media and blogs. However, I eventually started attending events with them and we hung out in person. Press the fast forward button, and a few years later, here we are today. Now when I see many of them, like I did last week, it's like a family reunion of sorts. This might seem weird to some, but not to us. We hug, laugh, share about our kids, make goofy videos, and catch up on everything that we've missed since the last time we were together. This recent event was no different. 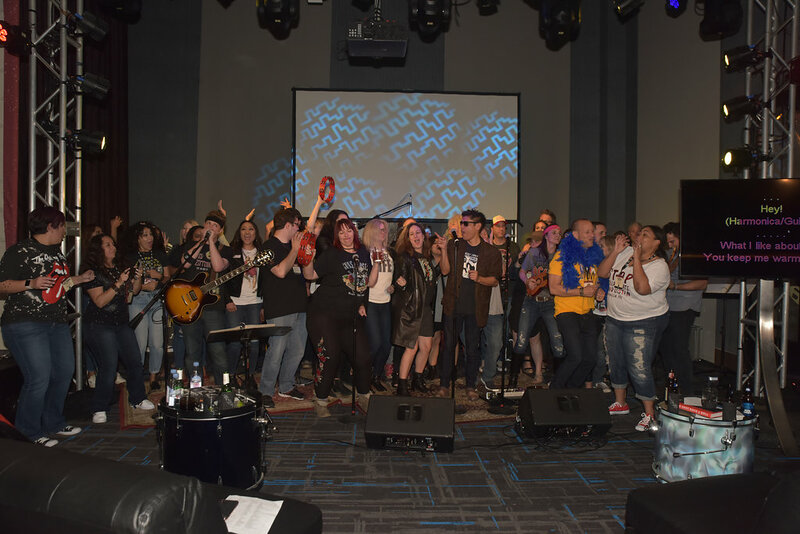 Kia brought together a group of forty-five or so of us in San Diego to drive cars, sing karaoke, and learn about the newest offerings from their lineup. What we didn't tell them is that much of the fun for us comes in just being with our blogger "family." Honestly, I'm sure that they know that because they scheduled our time there to basically revolve around being together with each other. We ate together...a lot. I mean, I feel like most of what we did was eat and drive. We even did both simultaneously at one point when we were divided up into teams. 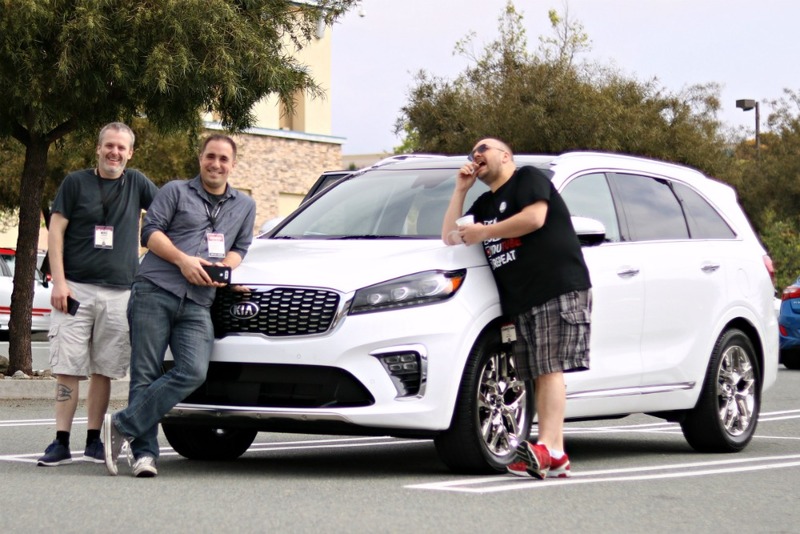 Basically some of my dad blogger friends and I had the opportunity to drive to a donut shop in a Kia Sorento and make a carpool karaoke video while eating said donuts. Yep, four grown men in a car but we still had enough elbow room to groove to the music like only dads can. In this case it was Aerosmith because we were doing a parody of the infamous Kia Super Bowl commercial featuring Steven Tyler. We finished the video using a beautiful new red Kia Stinger. The only issue was when I returned home and I kept staring at my own car in the driveway wishing that it would magically transform into that Stinger, but I digress. Our carpool karaoke video ended up taking second place overall, but then we were able to kick back and relax for the remainder of the evening. Just kidding! We sang the night away doing more karaoke over dinner and nitrogen infused ice cream. In fact I have a live video (watch it below) of the ice cream experience. My friend Christian from Dad Sews helped me host this over on my Facebook page. If you watch long enough you'll even see some cameos from my blogger family over at Papa Does Preach and The Rookie Dad. The next day I left on a jet plane a little tired, my stomach still full, but my head and heart overflowing with the memories that I shared with my #KiaFamily. 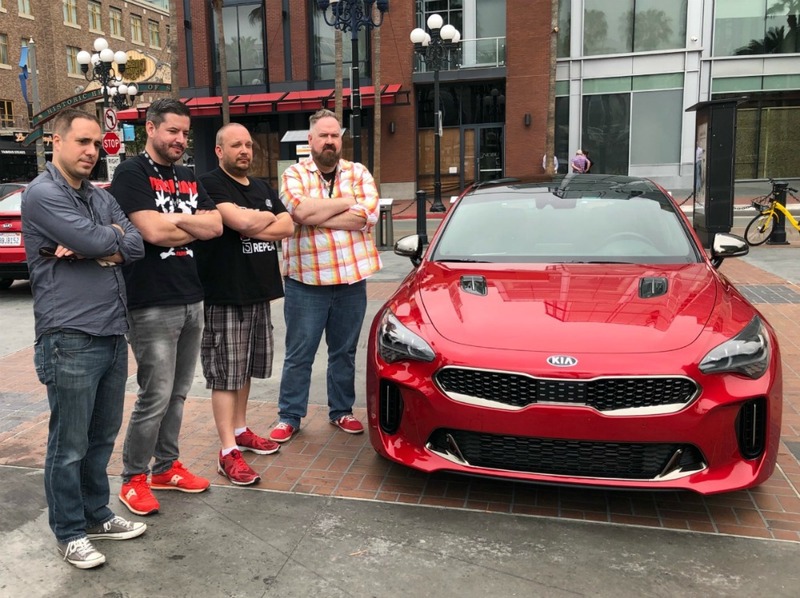 Maybe next time my memories with Kia will include my traditional family, but I wouldn't be disappointed if Kia brought this band back together again. Who are the people in your life that are your family "outside of your family?" Maybe it's time you said aside a few hours, or a full day, take drive together, and create some memories of your own! Disclosure: While I wasn't paid to go on this trip, hang out with my blogger family, or to write this post, Kia did pay for my expenses.